I'm not normally a fan of essay collections. I'll read them--after all, it is nice to have books that you can easily pick up and put down--but the constant change of topics tend to frustrate me. I'm also not overly familiar with Ann Patchett--the only one of her previous books I've read is Bel Canto and that was several years ago. 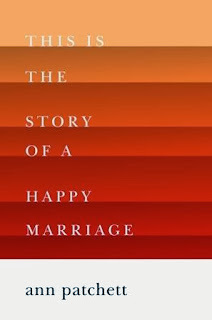 All that being said, I simply adored This is the Story of a Happy Marriage. This book is a collection of previously published essays in outlets such as The Wall Street Journal, Atlantic Monthly, and Gourmet. While it would seem that there are a number of unrelated topics included--and there are a number of topics--this is a very well-arranged collection. Even though the topics vary widely--from opera to RV travel to proof of the "Colbert Bump"--this book feels very streamlined. Even though I claim to enjoy the fact that I can easily put down essay collections between essays, I found myself unable to set this one aside. Patchett is a very personal writer and now, after reading so much about her life, I feel like she is my best friend. (I do not mean that in a stalker-ish kind of way.) She is also an honest writer--she doesn't paint herself in a better light than she deserves and she has a very appealing self-deprecating sense of humor. I can say nothing but glowing and wonderful things about this book. 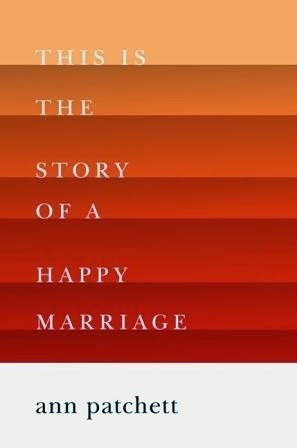 I would recommend This is the Story of a Happy Marriage to anyone, even those of you who share my formerly held belief that they were not fans of essay collections. Want to read more? Check out some of the other stops on this book tour. Links go to the blogs, not the specific review. I can see why this collection would be hard to put down! I'm with you - I'm not a big fan of essay collections but loved this one. I always end up liking one or two essays and then lose steam, but this one kept me going from start to finish!